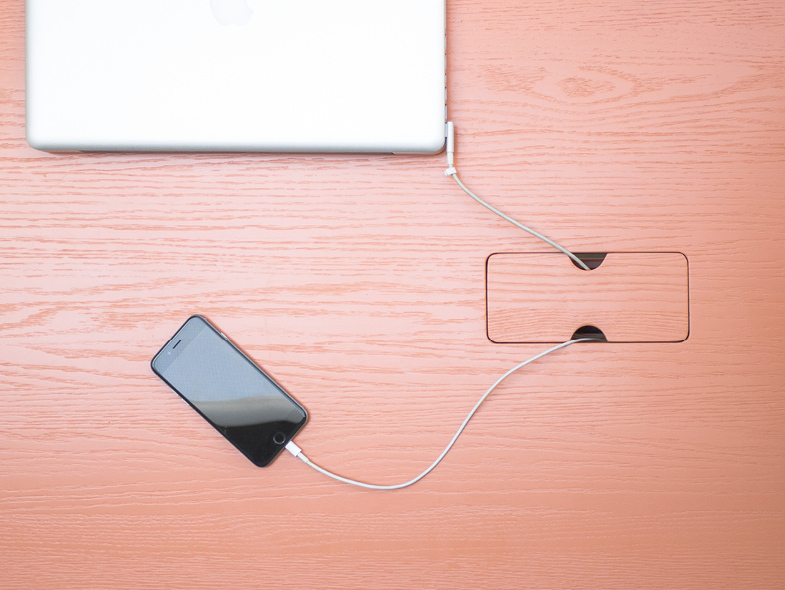 A connecting beam provides a solution for domestic cable clutter on the table. A place that is not only used for dining, but very often for desking as well. 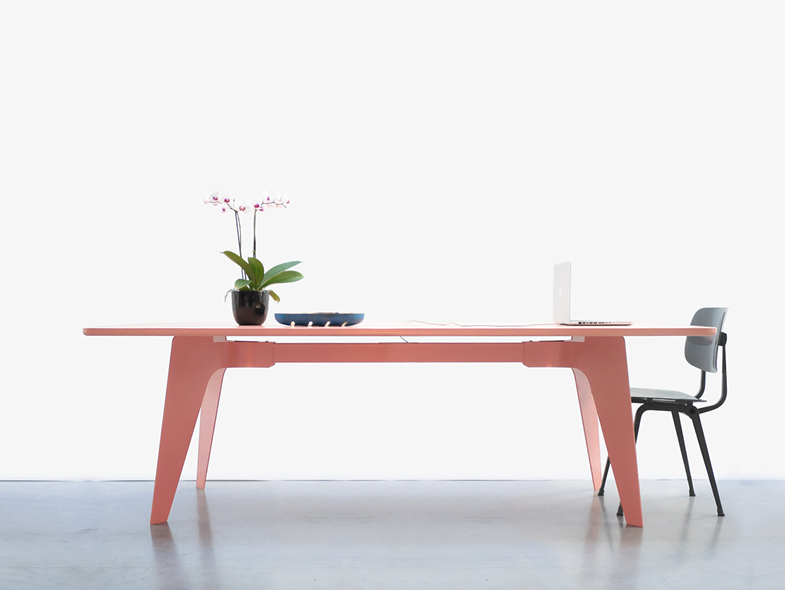 After the introduction of the B.05, a large workbench providing workspace up to 8 people with an integrated cable management inside a connecting beam, the need for a domestic version became more apparent. 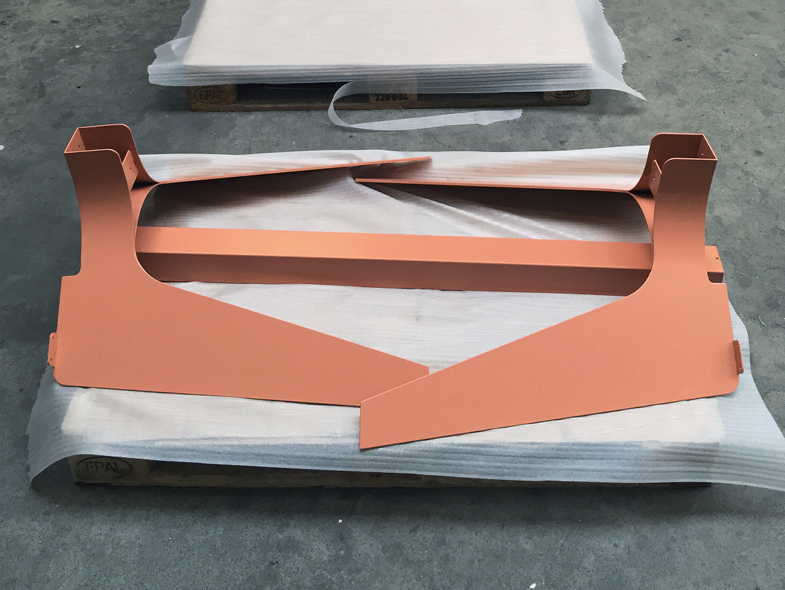 The self supporting and easy to mount metal construction of the B.03 has a smaller footprint than the B.05 and can provide a tabletop up to 1 metres wide and 3 metres long. 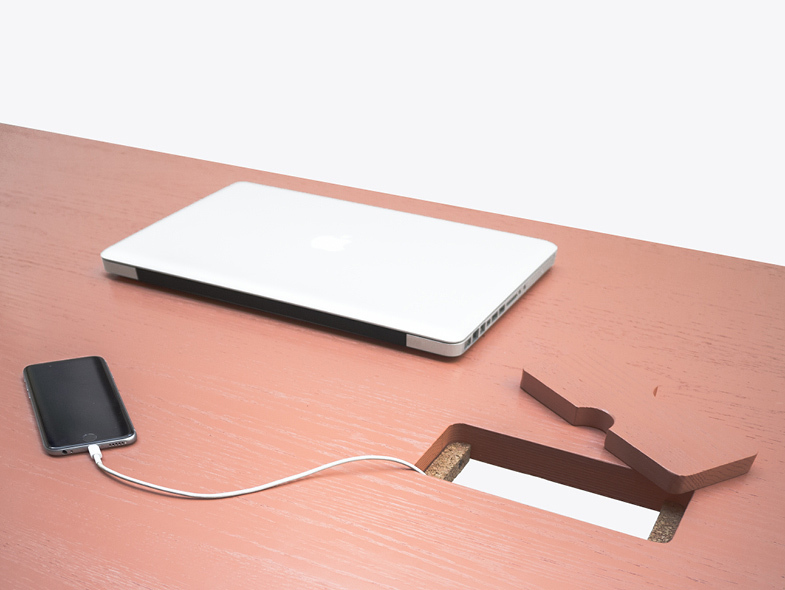 A simple lid, which is optional, gives access to the tables’ beam in which three electrical sockets can be mounted or cables are stowed from sight.